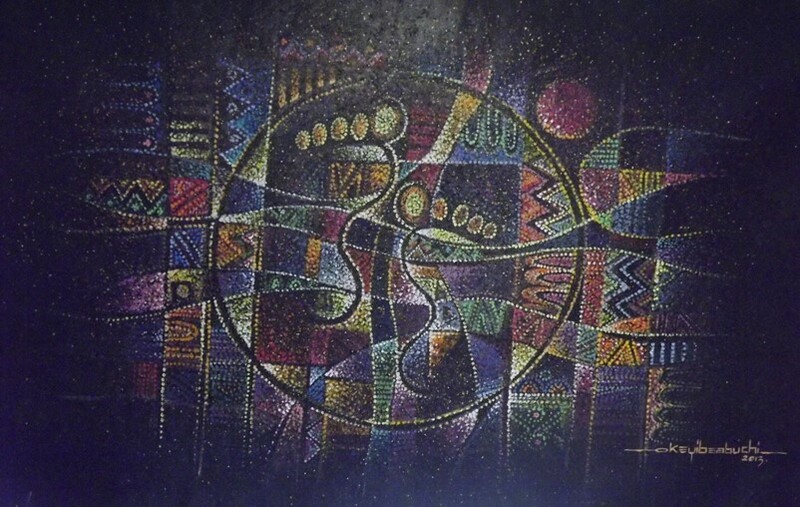 The 2008 group exhibition ‘Arts & Objects’ at the Henri Moweta Gallery, Lagos, displayed works by Okey Ibeabuchi, noted for their massive relief surfaces. 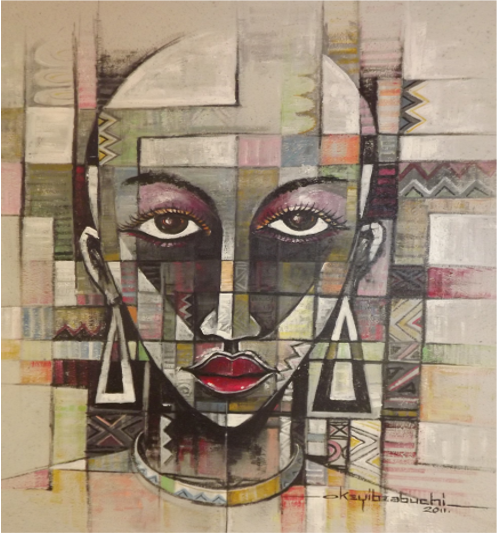 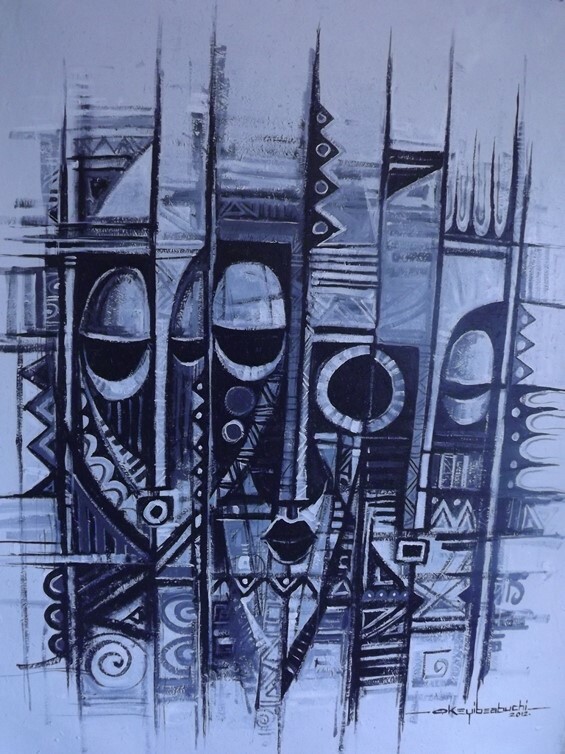 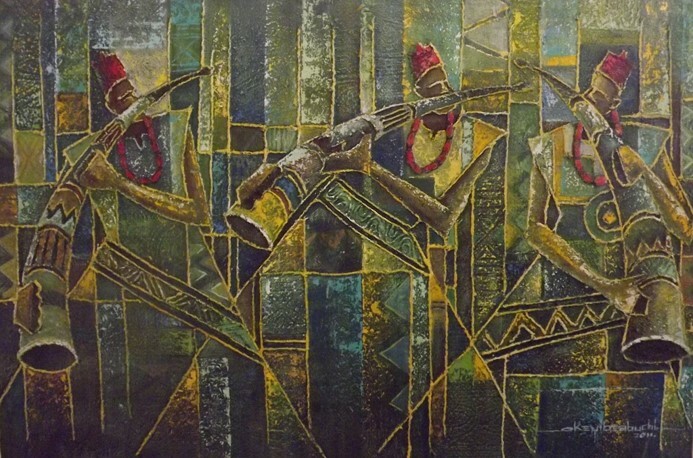 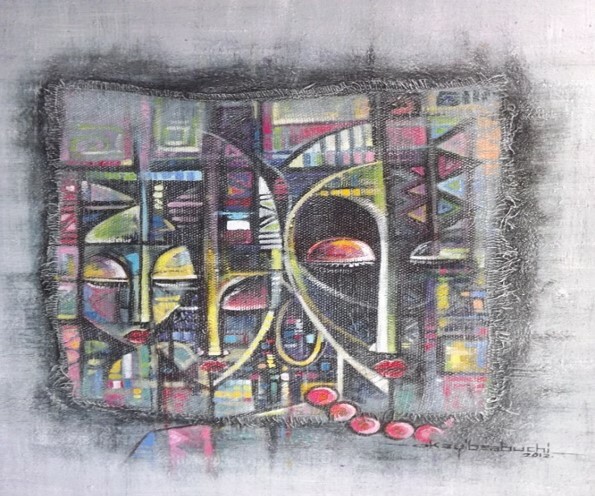 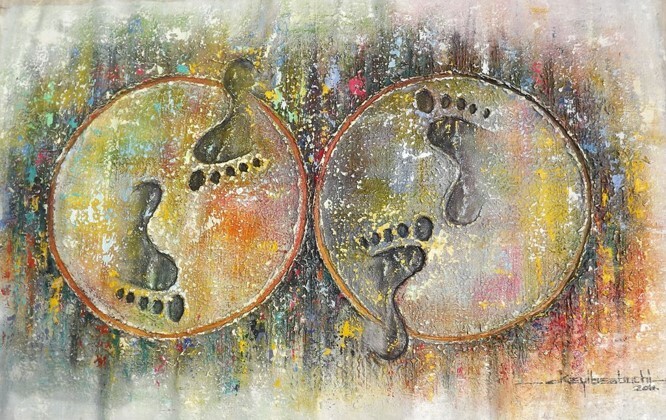 Perhaps inspired by encouraging responses from collectors following exhibitions in Abuja and Lagos, he went on to produce more tactile paintings between 2010 and 2012. 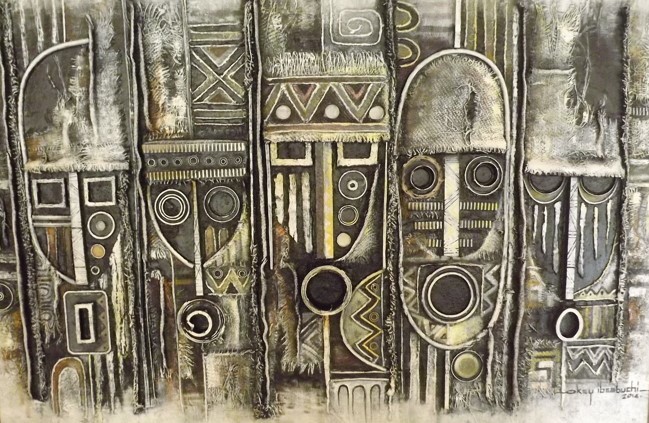 These works give the impression of the artist sculpting on canvas. 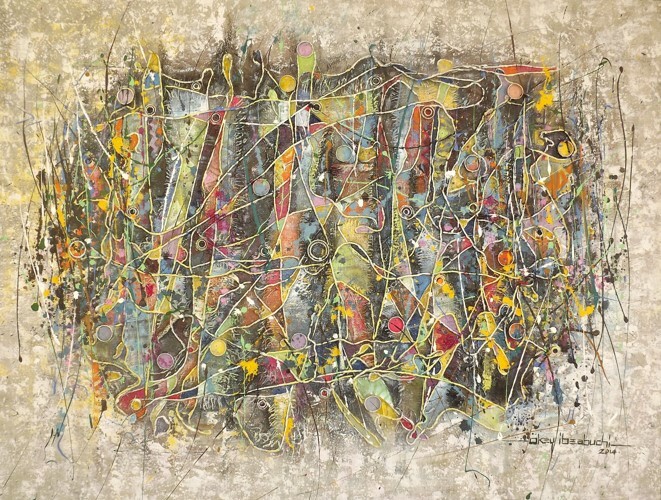 Encrusted surfaces were built with a complex network of jutes, empty paint tube caps, cones, plastic bottle covers, discarded rubber slippers and decaying wood. 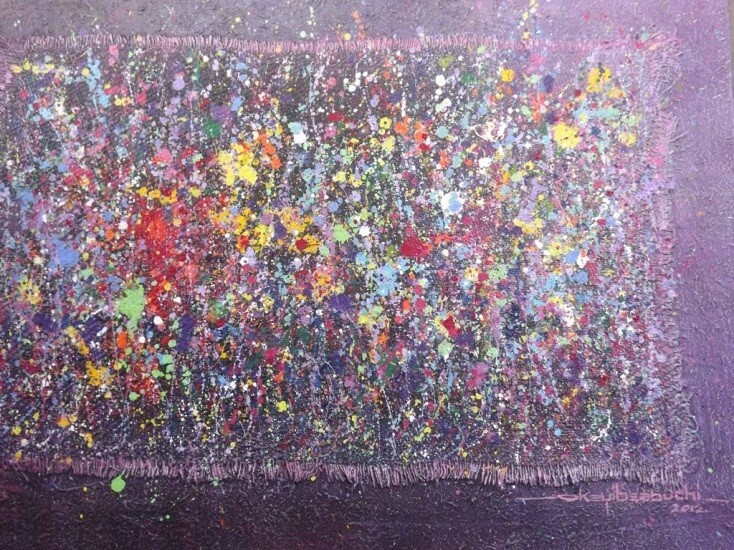 Since, waste materials have become recurring elements in his art. 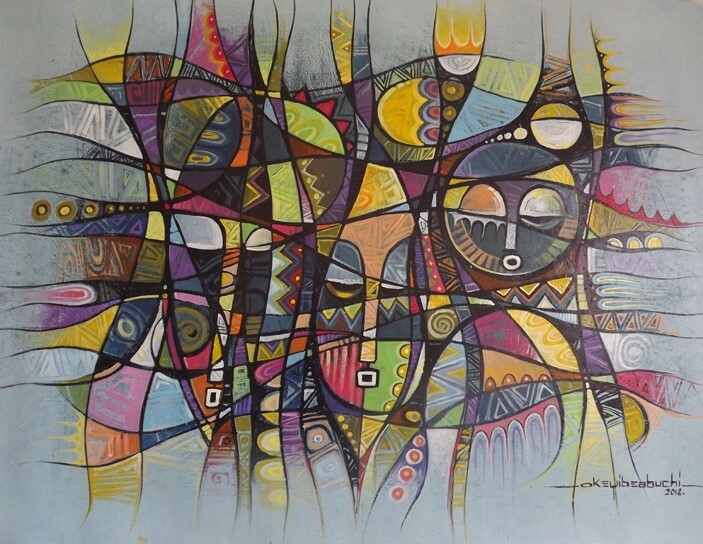 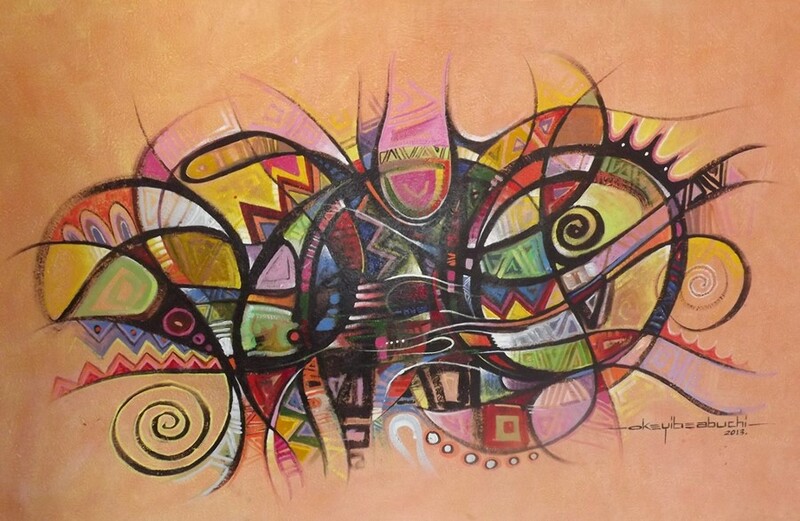 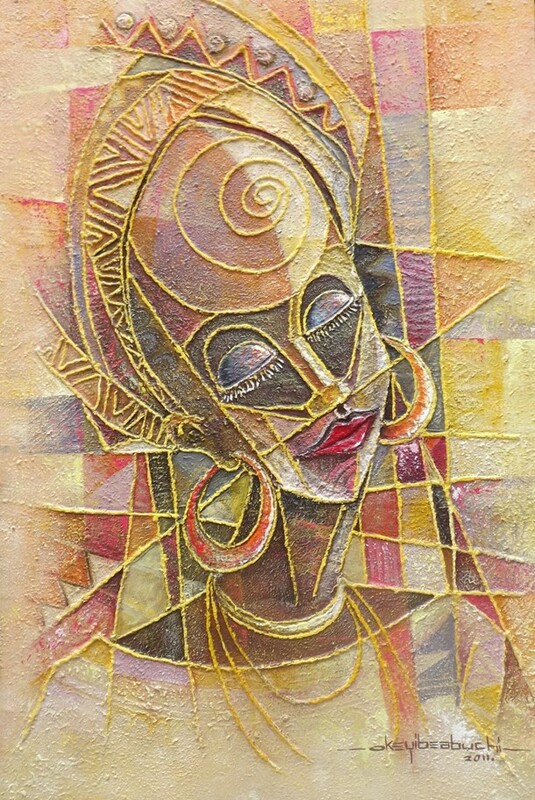 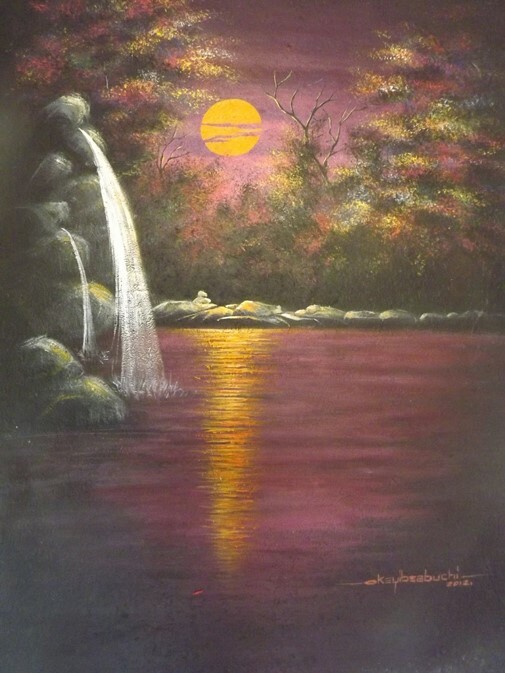 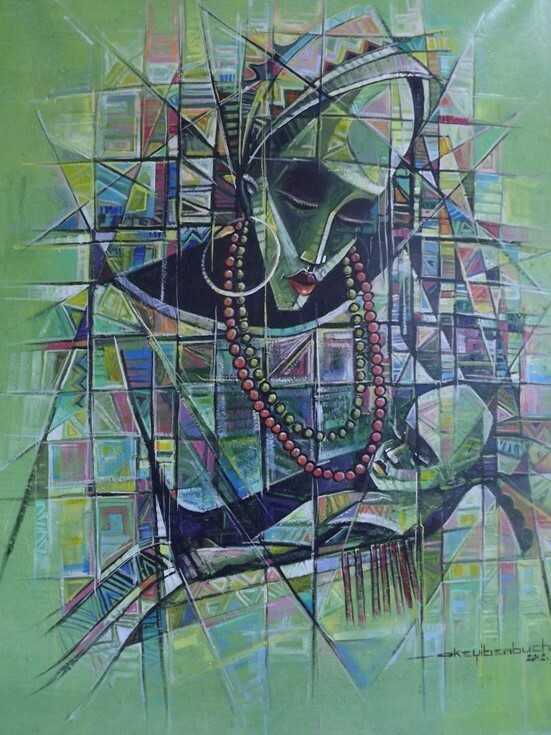 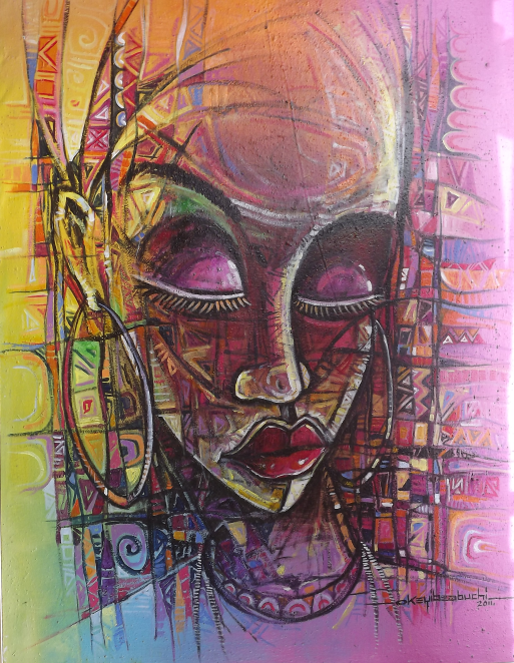 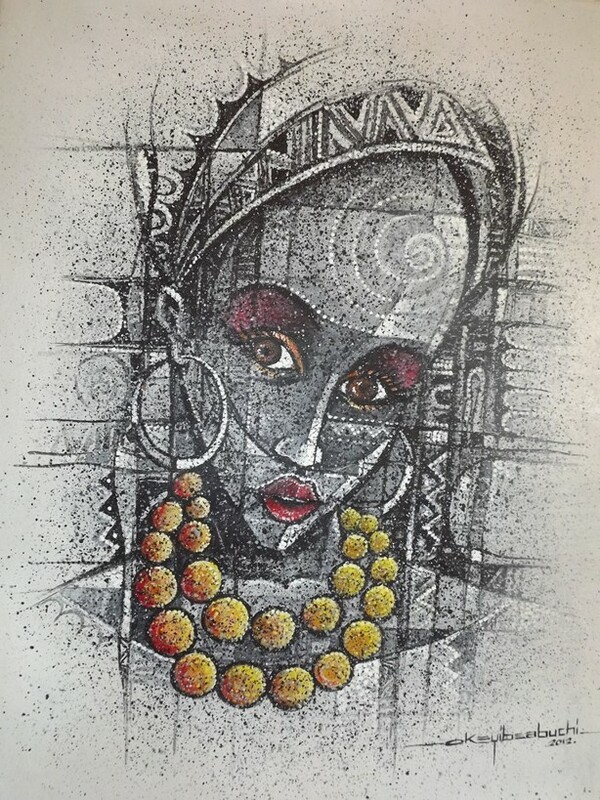 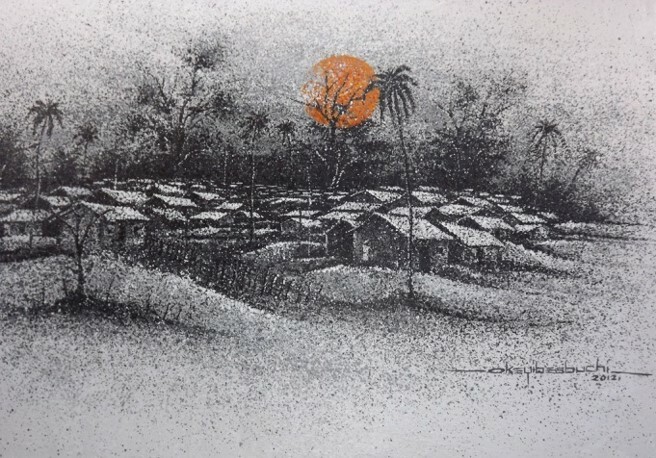 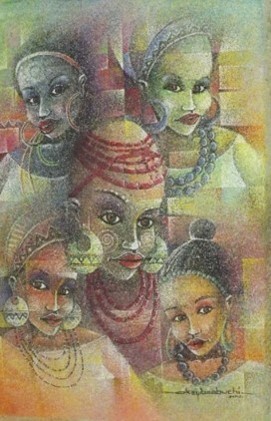 Ibeabuchi’s background as a graphic artist also influences his use of colours. 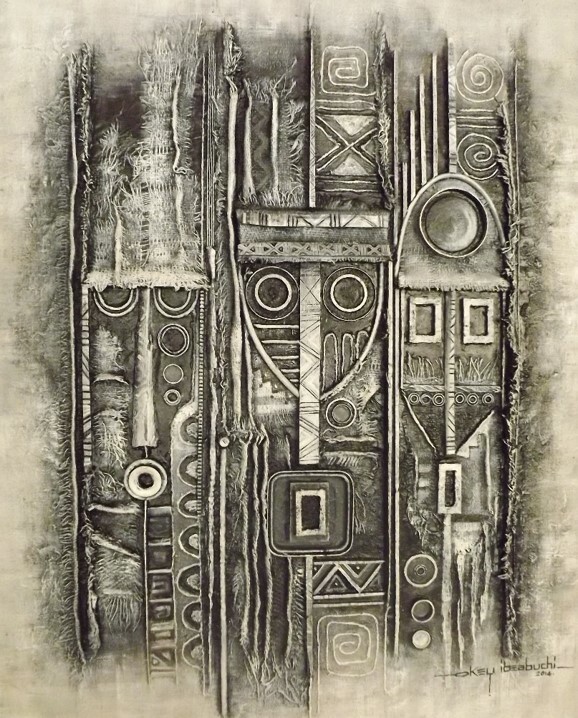 Early paintings by the artist predating his low relief works are permeated by an enviable range of luminous spectrum. 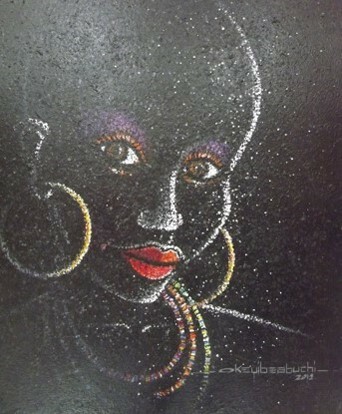 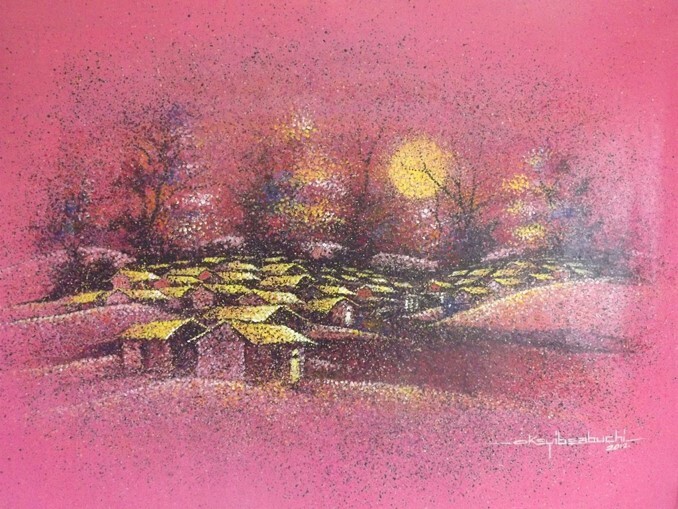 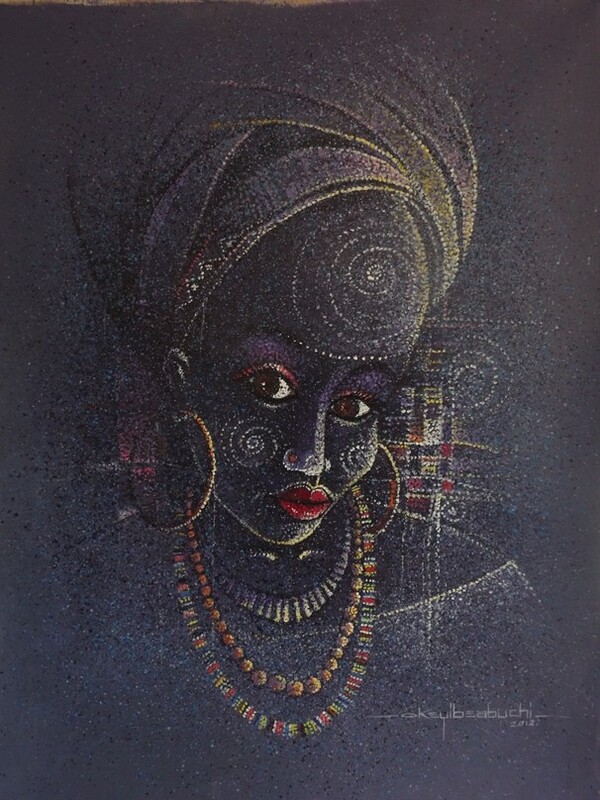 His more synthetic use of colours and his unique approach however, draw critical attention to the brilliant pointillism featured in his works, especially the remarkable monumental body of works relying on carefully made tiny dots to create forms of glamorously decorated women.